The summer heat really got me this year, never thought that hot weather could bother me that much, but being pregnant changes just about everything, right? 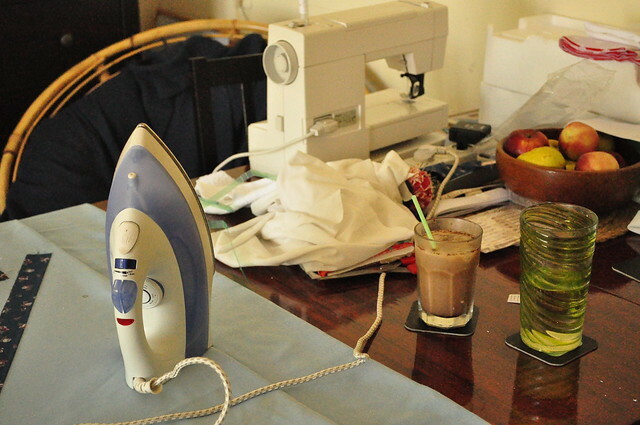 But the nesting energy really kicked in, the house was turned up side down, projects got finished, lots of sewing done and still in the doing. Just not much taking pictures or blogging yet. I have a ton of pregnant friends right now, so I am making lots of mommy to mommy gifts and I really think that most of the things I made will look much cuter with real babies presenting them... so wait and see! Ah, "me time"! So nice, right? Have fun nesting! I didn't get much time to nest in this pregnancy, since baby came at 38 weeks!